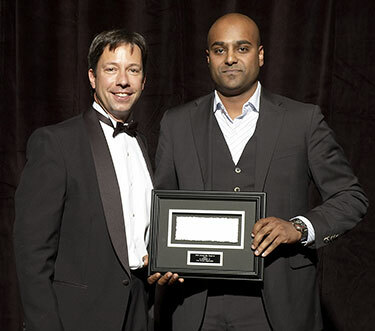 Toronto-based Jolera’s major focus is the not for profit and charitable vertical, and it was for its work with one of these organizations — the Christian Children’s Fund of Canada (CCFC) — that the IT consulting firm was recognized with the Gold Channel Elite Award for Best Service Organization. Jolera offers a 50 per cent list rate discount for NFPs and charities, as well as fixed pricing. That’s important, said Shan, because they need to plan their spending as every dollar they spend they need to raise from donors. Jolera manages all of CCFC’s IT systems, including disaster recovery services, connectivity, IP PBX, and the IT infrastructure in their overseas offices in Africa and Asia. Jolera’s most recent project with CCFC centred around e-mail consolidation. Jolera brought all CCFA staff onto one central e-mail system that field staff can access remotely anywhere they are, giving them all the benefits of a corporate e-mail system. “The very focus of our business is to allow these businesses to do what they do — save lives, do research, cure disease — and leave the IT management to us,” said Shan.